up to 11 years old. 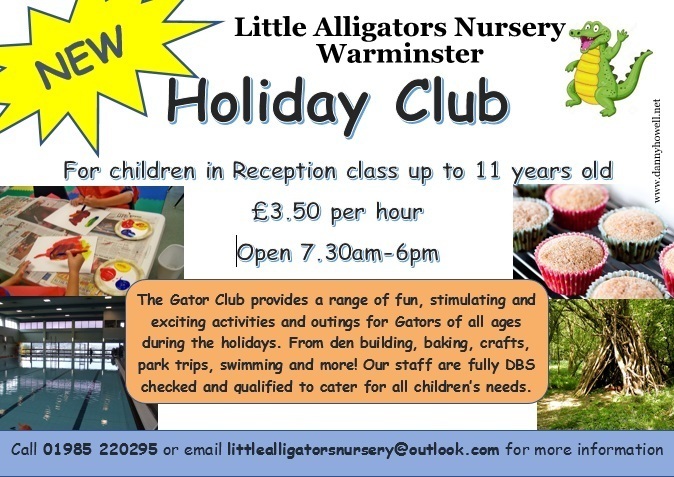 Open 7.30 p.m. to 6.00 p.m.
for Gators of all ages during the holidays. qualified to cater for all children's needs. for the May/June 2017 half term. Contact the nursery to get booked on.